This downloadable tree trail map highlights some of our favourites. Explore the trees for which Woodstock is renowned and enjoy the tranquillity of our woodland walks through beech and oak woodland. A newly opened woodland trail leaves from the car park adjacent to the toilet block. This walk which takes approx 25 minutes will bring you back to the formal gardens via the Noble Fir walk or if preferred a longer walk through the loop walk will connect one back to the gardens via the Monkey Puzzle Avenue. Within the arboretum the majority of significant tree are named using their latin name and common name . 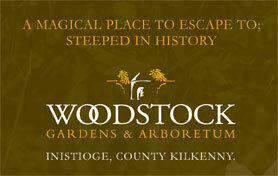 Woodstock is renowned across Europe for its tree collection and is visited by tree experts and enthusiasts regularly. Woodstock is home to many champion trees, being notable due to their height, girth or age. 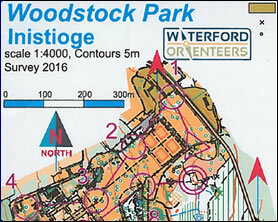 Our Orienteering Course is for those who want something a little more challenging.